Comfort for a luxury cottage with individual Jacuzzi® ... A modern decoration, all in acid colors. Bubble in the sun of Domaine du Colombier! Space and design, ideal for a large family. Every detail has been designed to meet all your expectations. The latest architect's office whose bet was to offer you the most beautiful cottages. Equally significant, your terrace is spacious with Jacuzzi® staff, very fashionable garden furniture and plancha for your meals! You will discover 1 bedroom with safe, comfortable bedding 160x200, 2 bedrooms for children with beds 80x190. The windows of the rooms are equipped with mosquito nets, sheets and towels are provided in this Premium Cottage. If you wish, the baby kit (high chair, bed) is free, but on request when booking and subject to availability. (For hygiene reasons, the mattress and baby sheets are not provided with the cot). And what a pleasure to enjoy two bathrooms: one for parents, the other for children. 2 WC (including 1 separate). The living room, beautiful living room, offers all the comforts and amenities: air conditioning, TV, satellite, DVD and MP3 station. The surprise of this rental is the mezzanine overlooking the living room, allowing extra sleeping for 2 juniors who love this space (ceiling height limited - 2 mattresses are available to your children (6/11 years)). Praised by everyone, everyone enjoys a personal space. You will enjoy the luxury of the kitchen: dishwasher, ceramic hob, microwave, large fridge freezer, Nespresso® capsule coffee maker, kettle, toaster. 43 m² to live a holiday without constraints, nothing is missing. A modern decoration, all in acid colors The Duplex cottages are located just around the Domaine du Colombier, some near the Balneotherapy and the Spa, others near the aquatic area of ​​the Lagoon ... Colombier Advantage: Individual Jacuzzi® on your terrace, plancha, Nespresso® capsule coffee maker, MP3 reception station, 1 WIFI connection, hairdryer, bed linen and towels, end-of-stay cleaning, unlimited access to Balneotherapy (+18 years old). The luxurious Duplex is a rental to discover as soon as possible for your greatest happiness! Mobile home rental Loggia 2 bedrooms, original and friendly! A living-stay of even foot gives a space of comfortable life which opens on the integrated and covered terrace. This vacation rental has a kitchen equipped with all the necessary appliances: ceramic hob, fridge freezer, microwave coffee maker, kettle and toaster. The master bedroom, equipped with a safe and a bed 160x200, has a mosquito net at the window, as the children's room, consisting of 2 beds 80x190. The bathroom is equipped with a shower and sink. The toilets are separated. Different from other mobile homes by its structure and layout, this model was created by the French factory Ohara, a subsidiary of Bénéteau, boat builder, synonymous with quality. 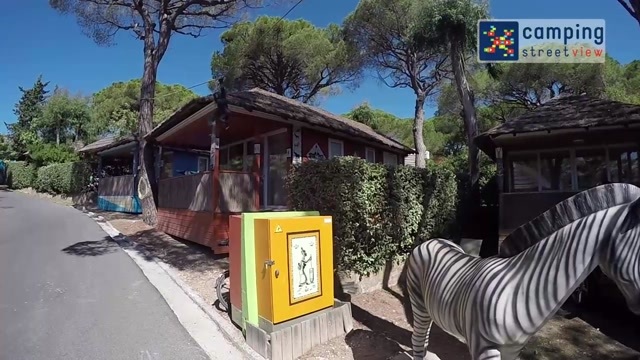 The Loggias are found a little everywhere at the 5 * Club Colombier campsite: near the children's play areas, near the Balneo, near the Spa, near the lagoon water park ... specify it when booking on the form of our site. This mobile home rental model also exists in air-conditioned version (on reservation), for an additional charge of 12 € / night. This air conditioning is only available if requested at the time of booking, subject to availability. The baby kit (cot and high chair) is also optional (for hygiene reasons the cot is provided without the mattress and without baby sheets). The Loggia is the mobile home of the successful holidays at Domaine du Colombier in Var! Unlimited access to the Vitality pool (+18)... The atmosphere is modern and design, always in shades of blue: navy and azure. For this luxurious mobile home rental of 38 m² in open-air hotel, your tribe will appreciate the 2 bathrooms and 2 WC (including 1 separate). 3 bedrooms for everyone to be at ease: 1 with safe and bed 160x200 for parents and 2 other rooms with beds 80x190 for children. If you wish, the baby kit (high chair, bed) is free but upon request at the time of booking, subject to availability. Mosquito nets on the windows, sheets and towels included. The modern kitchen with its ceramic hob, dishwasher, fridge freezer, microwave and all the small appliances will fill you. The air-conditioned lounge with flat screen TV, DVD and satellite is waiting for you. Large wooden deck with shade sail and very fashionable garden furniture for this luxurious mobile home rental, in short all to relax and enjoy your holidays at Club Colombier. You will appreciate the generous volumes of the Prestige cottage and its superb terrace. In this rental of 35 to 38 m² decorated with warm colors and vitamins of summer, you will spend your best vacation at Club Colombier. You will find three rooms with mosquito nets and a safe in the master bedroom, sheets and towels are provided. They welcome in one, a couple (bed 160x200) and in the other two four children with beds 80x190. If you wish, the baby kit (high chair, bed) is free of charge, but upon request when booking, subject to availability; (For hygiene reasons, the mattress and baby sheets are not provided). The bathroom of this cottage is equipped with a shower and sink, separate toilet. An air-conditioned lounge with flat screen TV, DVD, satellite, which opens onto a wide wooden deck with shade sail. The kitchen of this mobile home rental, with dishwasher, fridge freezer, microwave, will fill you with its direct access to the terrace, where you will live in / out and enjoy the mild temperatures with garden furniture very design. The Prestige cottage at Club Colombier is a guarantee of quality for your holidays Unlimited access to balneotherapy (+ 18 years old) is included. Charming mobile home Provence for 4 people of 26m ². Practical, comfortable and modern decoration, camping 5 stars. Ideal for your holidays to discover the Var. The 2 bedrooms of this mobile home rental are equipped with blinds and mosquito nets. One has a 140x190 bed (safe), plus a space for cot. The other bedroom has two single beds 80x190. The bathroom and the toilet are separated. His stay-kitchen, arranged well with refrigerator, plates vitroceramics, microwaves, coffee maker, kettle and toaster, opens on a terrace of 12 m ² with veil of shade. This Provence mobile home 2 bedrooms also exists with air conditioning (option on reservation), for an additional charge of 12 € / night. This air conditioning is only available if requested at the time of booking, subject to availability. The baby kit (cot and high chair) is also optional (for hygiene reasons the cot is provided without the mattress and without baby sheets). 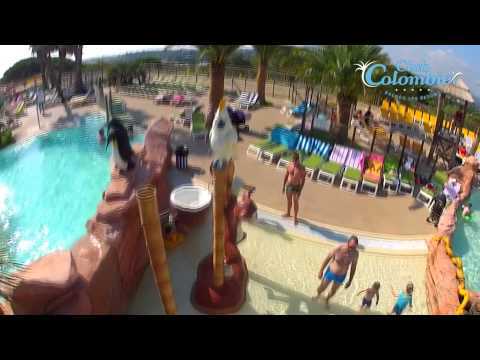 You will appreciate this rental mobile home camping 5 stars in the Var at Colombier Fréjus. 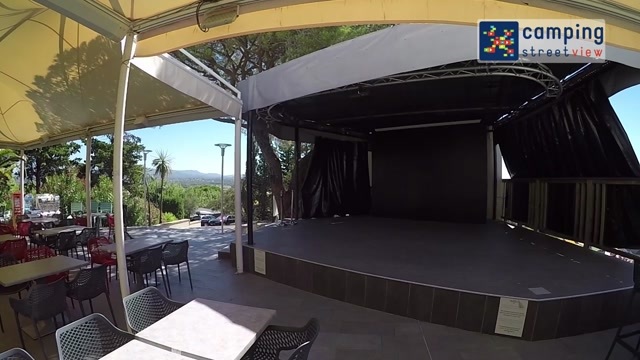 The mobile home New Port (28m²), is ideal for your holidays in 5-star camping in the Var at Club Colombier which is located 2 km from the historic center of Frejus and 4.5 km from the bay of Frejus - Saint Raphael. The kitchen of this mobile home is fully equipped, with electric hob, fridge freezer, microwave, coffee maker, kettle and toaster. The living room is comfortable and can be converted into a third bedroom thanks to its convertible sofa (135x190). The living room of this mobile home opens onto a beautiful terrace, covered with a shade sail. Two cozy rooms with blinds / mosquito nets have a bed 160x200 (and safe), and 2 single beds (80x190). The bathroom is equipped with a shower and a sink, separate toilet. This mobile home rental model also exists in air-conditioned version (on reservation), for an additional charge of 12 € / night. This air conditioning is only available if requested at the time of booking, subject to availability. The baby kit (cot and high chair) is also optional (for hygiene reasons the cot is provided without the mattress and without baby sheets). You will appreciate the good times spent on holidays at Club Colombier in this mobile home. Bright and cheerful colors for this 3 bedroom mobile home of 32 m² It is unanimous for large families wishing their comfort during their holidays! Accommodating a family of 6, the 3-bedroom ZEN Cottage has a living room with a TV and DVD. The kitchen is bright, equipped with ceramic hob, fridge freezer, microwave, coffee maker, kettle and toaster. The high table and its modern bar stools will be the unanimity of the whole family. The parents' room has a bed 160x200 and a safe, children's rooms have single beds 80x190. The bathroom is equipped with a shower and sink, separate toilet. You will spend long evenings with the family under the shade sail of its terrace. Total relaxation during your camping holidays in the Var! The rental of this mobile home with a surface of 38 m² is one of the most pleasant. You will appreciate a single bedroom with bed 160x200 plus a space for cot, safe and large dressing room. The children's room has 2 single beds 80x190. Sheets and towels are provided in this cottage and the rooms are equipped with blinds and mosquito nets. The bathroom has shower and sink, separate toilet. The luxuriously equipped kitchen includes a dishwasher and a US fridge-freezer with Icemaker. The air-conditioned living room of this cottage, yachting atmosphere, is very spacious and really comfortable with TV, DVD, satellite. 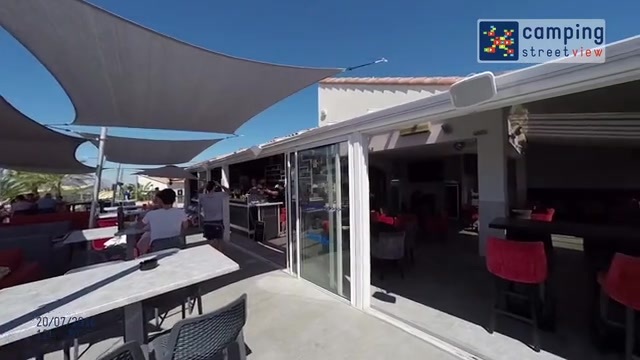 It opens on a pleasant terrace with shade sail. The height of luxury for your holidays, this mobile home rental is also equipped with a washing machine and the baby kit is free but to specify when booking (subject to availability). (For hygiene reasons, the cot is provided without the mattress and without baby sheets). This cottage was created by the French factory Baticoncept on exclusive specifications at Club Colombier. Unlimited access offered to balneotherapy (+ 18 years). An ideal mobile home rental for a wonderful holiday at Club Colombier. An 80m² (approx.) camping pitch with 16 amp electricity supply and drinking water suitable for a car and tent of 12m² or a motor home/caravan 4m in length. The exact dimensions of your installation must be specified when booking your camping pitch at the Domaine du Colombier on the French Riviera, just 4.5km from the beach. Privacy and luxury! New architectural concept always more innovative for this holiday rental Au Domaine du Colombier between Cannes and Saint-Tropez. Decoration lilac colors, terracotta or anise, this holiday rental of a new kind will delight you for your stay. This air-conditioned chalet of 34 m² including 10 m² of semi-covered terrace has 2 independent bedrooms that open onto the terrace. Each room has its own bathroom with toilet. The master bedroom has a safe and a bed 160x200, while the children's room has 2 beds 80x190. The kitchen is equipped with a fridge-freezer, ceramic hob, microwave, coffee maker, kettle and toaster. The lounge area with TV / DVD offers a convertible sofa for 1 person, it opens pleasantly on the outside patio. The baby kit (cot and high chair) is optional (for hygiene reasons, the cot is supplied without the mattress and without sheets). The undeniable advantage of the Cottage Patio is the privatization of each room, and their direct access to the outside. On your terrace: your personal Jacuzzi® ... If you are looking for a holiday rental on the French Riviera with 2 bedrooms and you prefer the space of a beautiful living room, you will choose the Cottage Premium Loft Malibu. What a pleasure to enter this premium cottage of 40 m² and discover a beautiful air-conditioned lounge with 2 sofas (including 1 convertible), flat screen TV, satellite, DVD and MP3 station attached to a beautiful kitchen with central island. This kitchen is equipped with ceramic hob, American fridge freezer with US ice maker, dishwasher, microwave, Nespresso® capsule coffee machine, kettle and toaster. The two bedrooms of this vacation rental are lit by leds of colors of a very modern effect. The parents' room has a safe and a 160x200 bed. The children's room has single beds 80x190. If you wish, the baby kit (high chair, bed) is offered free of charge, but upon request upon reservation and subject to availability. (For hygiene reasons, the mattress and cot sheets are not supplied). The toilets are separated from the bathroom where you will enjoy a skylight, an Italian shower and a hairdryer. The large 30 m² wooden deck is simply wonderful with its openwork pergola, modern garden furniture and personal Jacuzzi®. You will appreciate the intimacy of your terrace. Very nice too, the plancha for convivial meals. Premium service: Pedestrian area, 1 WIFI connection, bed linen and towels, end of stay cleaning and unlimited access to Balneotherapy (+ 18 years old). Colombier Advantage: Individual Jacuzzi® on your terrace, plancha, Nespresso® capsule coffee machine, MP3 reception station and hairdryer. Well-being and relaxation at the Balneotherapy and Spa of the 5-star holiday village, Domaine du Colombier. Private Jacuzzi® and unlimited access to the Vitality pool… For a dream vacation you will retain the Royal Malibu Premium Cottage as it offers 3 bedrooms with a more minimalist living room and offers the same amenities as the Malibu Loft. At the foot of the aquatic area of ​​the lagoon ... luxury and comfort, for this vacation rental. This large 40 m² cottage for 6 people is the ideal vacation rental for a large family. The wooden terrace of 30 m², its pergola, its garden furniture and the individual Jacuzzi® are the assets of this wonderful cottage. Not to mention the unlimited access to Balneotherapy (+18 years old). The three bedrooms are all equipped with blinds and mosquito nets. The master bedroom has a 160x200 bed and the second one has two 80x190 single beds. The latter is the favorite of children with its wall lit with LED colors. The third bedroom has bunk beds (for children from 6 to 11 years old). Difficult to choose your room! If you wish, the baby kit (high chair, bed) is at your disposal free of charge, upon request at the time of booking and subject to availability (For hygiene reasons, the mattress and sheets of the cot are not provided. ). Small luxury, the bathroom with skylight is equipped with a beautiful walk-in shower, the toilet is separate. You will love the kitchen dining room with a central island fully equipped: ceramic hob, fridge freezer with US ice maker, dishwasher, microwave, Nespresso® capsule coffee maker, kettle and toaster. The latest technologies are available in the small lounge of this air-conditioned cottage, which opens onto the beautiful terrace with Jacuzzi®. You enjoy satellite TV, DVD player. Premium service: Pedestrian area, 1 WIFI connection, bed linen and towels, end of stay cleaning and unlimited access to Balneotherapy (+ 18 years old). Colombier Advantage: Individual Jacuzzi® on your terrace, plancha, Nespresso® capsule coffee machine, MP3 reception station and hairdryer. Great family holidays at Domaine du Colombier are waiting for you!. During your next vacation, you will stay in a mobil home FUN! You will love the decoration of this rental! An atmosphere full of colors, an undeniable charm. Benefiting from all the necessary equipment, this mobile home will make you have a pleasant stay at Domaine du Colombier. Your family will appreciate the 3 bedrooms, the beautiful living-kitchen and the large terrace. Playful and modern, this air-conditioned mobile home of 41 m² including 9 m² of covered terrace has 1 spacious master bedroom with a bed of 160x200 and 2 bedrooms each with 2 single beds 80x190. The living room with flat screen TV and DVD player forms a large room with the kitchen (fridge freezer, ceramic hob, microwave, coffee maker, kettle and toaster). It opens on a beautiful covered terrace, wood. As the days go by, the whole family will find its place in this beautiful location. What good times to spend together! 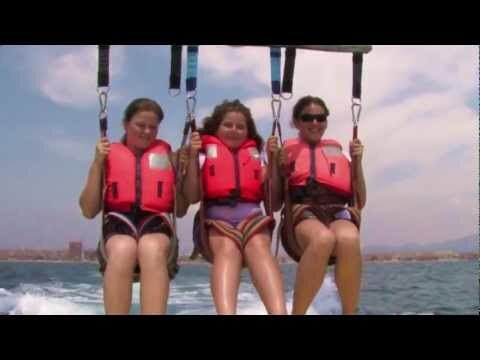 Your family holidays at Club Colombier will be an unforgettable pleasure. Access to balneotherapy (+ 18 years old) is included. Manhattan Cottage, Comfortable and bright! Do you like urban chic decoration? Manhattan will please you. Gray, taupe and bright yellow tones decorate this vacation rental at Domaine du Colombier. Paintings of the famous district of New York animate the walls and yet outside the cicadas sing. The famous yellow cabs and skyscrapers highlight Manhattan in opposition to the floor and its parquet design. The living room is air conditioned, with TV DVD. If necessary the bench allows a bed (140x190) for 1 person. The kitchen is modern, arranged with ceramic hob, fridge-freezer, microwave, coffee maker, kettle and toaster. This vacation rental on the French Riviera at Domaine du Colombier offers 2 comfortable rooms including 1 with bedding 160x200, and a safe. The second bedroom is equipped with 2 twin beds 80x190. Practical toilets are independent of the bathroom which has a nice XL shower and a hair dryer. Outside, the terrace is wooden and contrasts with the gold plate, very modern, which frames the front door. The garden room is waiting for you! To try it is to adopt it ! Book your Manhattan quickly as this vacation rental is in great demand.